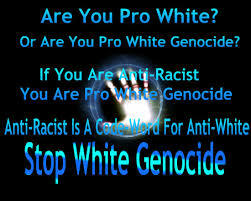 Here are the links to some Stop White Genocide pdf files for A5 leaflets and A3 posters. They can be downloaded and printed off at home or sent to printers for printing out. This entry was posted in 2000s, 2010s, Anti-White, BBC, Bilderberg Group, Crime, Genocide, Globalisation, Government, Immigration, Jews, Labour, Media, Multiculturalism, New Labour, New World Order, NWO, Politics, Racism, Zionism and tagged BBC, Bilderberg Group, genocide, Global, Globalisation, Golden Dawn, Government, jews, Labour, Labour Party, multiculturalism, New Labour, New World Order, NWO, White genocide, zionism, zionist, zionists. Bookmark the permalink. 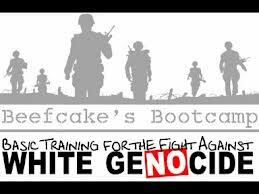 I usually do not comment, however I looked at some of the comments here Stop White Genocide Leaflets And Posters A3/A5 pdfs | cigpapers. I actually do have some questions for you if you do not mind. Could it be just me or does it look like a few of these responses come across like they are left by brain dead individuals? 😛 And, if you are writing at other online social sites, I would like to follow anything fresh you have to post. Would you make a list of all of your social community pages like your linkedin profile, Facebook page or twitter feed? 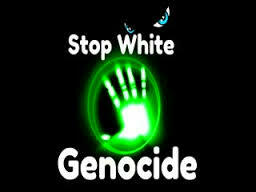 We`ve had white genocide race destruction propaganda shoved down our throats for DECADES. It`s payback time for the filthy anti-white scum.